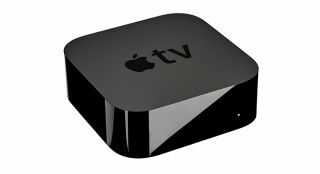 Apple TV with 4K and HDR inches closer to confirmation | What Hi-Fi? Only a fortnight ago we reported on 4K HDR labelling on iTunes movie downloads being the strongest hint yet we might see a new 4K Apple TV box. And now we have even surer signs that a 4K- and HDR-supporting Apple TV is in the works. Signs, a little embarrassingly, from Apple itself. Following the tech giant’s accidentally leaked firmware for its HomePod – its first voice assistance-equipped speaker, set for launch later this year – PeixelUrbano iOS developer Guilherme Rambo was quick to spot lines in the code that seem to verify an upcoming Apple TV supporting the two display technologies. The code suggests Apple won’t be going in half-heartedly with its HDR compatibility either, with support for HDR10, Dolby Vision and HLG (although unsurprisingly not Samsung’s HDR10+ format) on the cards. All we want now is an official confirmation. Watch this space.